The Golden Globes are tomorrow; I’m hoping for a win in the Musical or Comedy category for La La Land but apparently Deadpool is a strong contender. It’s funny but it’s no La La Land in terms of having a story that will sweep you away and songs that will play over and over in your head long after you’ve left the theatre. 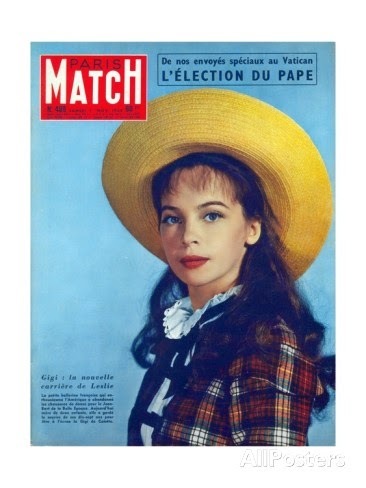 Since it is Golden Globe weekend, today’s Saturday Matinee is a Golden Globe winning movie musical that left me equally enchanted back when I was a child: Gigi starring Leslie Caron and Louis Jourdan. The Golden Globes awarded it Best Picture in the musical category with director Vincent Minelli taking Best Director. Gigi ended up winning 9 Oscars, I’m frankly hoping La La Land takes home the big one at the Oscars too, while also knowing how many excellent films don’t even get seen, let alone nominated, let alone win. 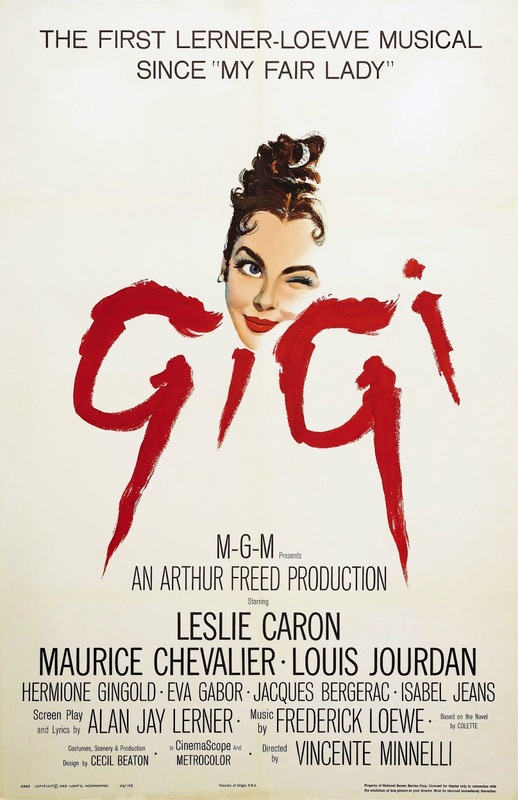 I was a child when Gigi came out in 1958 so I must have seen it several years later on television, probably on a screen not much bigger than a bread box. Certainly not big enough to contain the charm and charisma of the French film star Louis Jourdan as Gaston. While I had no idea who he was, I fell in love with his voice, his elegant French accent, his tall, dark, debonair flair. Whatever my age when I saw the movie, I was too young to fully understand the notion that Gigi was being trained to be a kept woman to an older man, a courtesan, a demimondaine in Paris, during the Belle Epoque period. 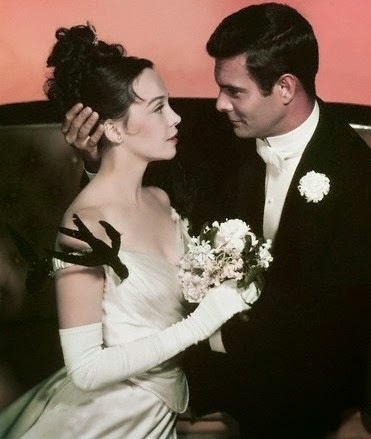 I only understood that Gigi went from being a school girl (like moi) in school girl clothing to glamour queen (unlike moi), and that after her transformation, Louis Jourdan—my first French crush—fell in love with her and that they got married and lived happily ever after. We first meet Gaston riding in a carriage with his uncle Honore (Maurice Chevalier) A sophisticate who has seen and done it all, it seems there is nothing Honore can suggest that doesn't bore Gaston to tears. But then there is Gigi. At first, their relationship is purely platonic. Her girlish enthusiasm gives him a kick. Until he finds himself thinking of her in a completely new light. 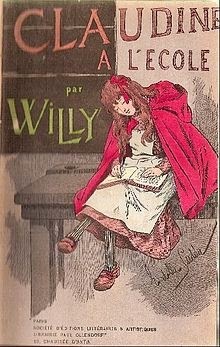 The film, directed by Vincent Minelli, was based on the novelette written by Colette in 1944 when the famous French writer was in her 70's. While Colette never saw the 9 time Oscar winner—the acclaimed writer died in 1954—Gigi had already been adapted as a French film in 1949 and then in 1951 for the stage, by Anita Loos. 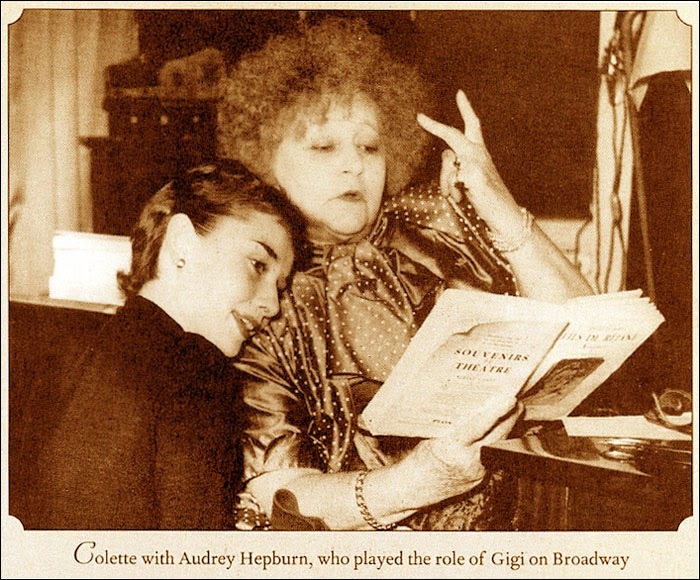 In fact Colette herself hand-picked Audrey Hepburn to play the title role on Broadway! Lerner & Lowe, who wrote the show tunes for the movie—Andre Previn composed the score—tried out the musical on Broadway in the early 70's but it flopped. Now, Call the Midwife's writer Heidi Thomas and producer Jenna Segal are in the midst of taking a whole new version of Gigi to Broadway. The ladies have cleaned up the risqué material as well as the scandalous age difference between Gigi and Gaston, making it more palatable to today's pc audiences. All fine and well, but it ain't Colette. Colette is another writer whose life would make for an amazing film. She was probably bi-sexual—she at least flirted with lesbianism in a relationship with the marquise de Balbeu—but was married three times, first at age 20 in 1893 to Henri Gauthier-Villars, a writer and critic 15 years her senior. It was Gauthier-Villars (Willy) who first introduced her to the world of Parisian salons and the 'demi-monde' she came to write about. Discovering her talent, the man actually locked her in a room and forced her to write! Naturally, he took the credit, publishing the four-book series Claudine under his name. Naturally! Do you love Louis Jourdan, Paris patisseries and anything and everything French? 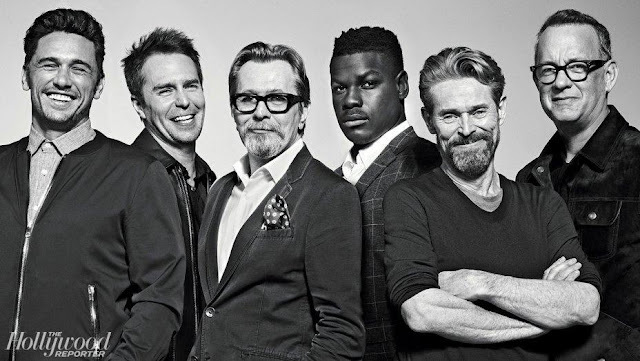 One of my favourite films ever. I loved the scenes in Paris in the movie too and, even now, try to guess where they are, especially when Gaston is singing and realising that he is in love with Gigi. 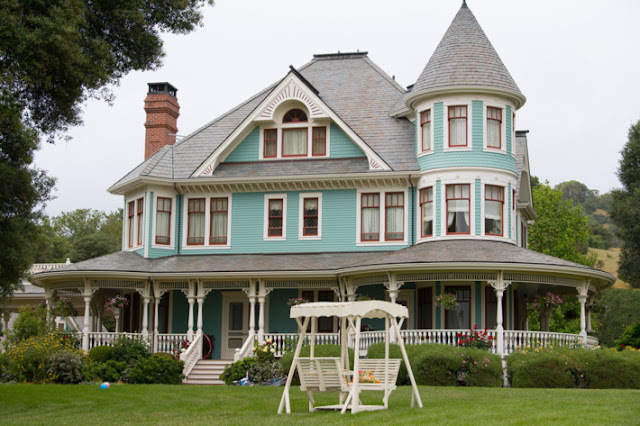 Hi Linda; I'm going to scout around and see if I can help with the locations and do another Gigi post next week. Thanks for the great idea! Sim, Now that you mention it, I don't think I've actually watched all of Gigi. I need to do that. Too many times I let old movies slide by and just get the gist of them. I'm sure I'd love this. Thanks for playing along with Dreaming of France.